In the past decade, the role of the principal has changed from that of a building manager to an instructional leader who sets the tone and vision of the school. Principals are now expected to recruit, hire, and support strong teachers as well as deeply engage with families and communities. Even while the role of the principal has evolved, one thing that has not changed is the lack of racial and ethnic diversity among administrators. This issue has received considerable attention in Tennessee, especially as we think about how to ensure that our schools recruit and retain more teachers of color. Diversity in school leadership is closely linked to diversity in teaching. Researchers have found that principals of color are more likely to recruit as well as retain teachers of color. Schools with larger numbers of black teachers or a black principal are also more likely to identify black students for their gifted programs. This is especially important because even with identical test scores, white students are twice as likely as black students to be identified as gifted. While Tennessee has taken some important steps to diversify the educator pipeline, the numbers are still alarmingly low. Eighty-two percent of principals in Tennessee are white and about eighteen percent are black. Due to concerns over data quality, there is no public data about the number of Latino and Latina principals statewide. There are a few bright spots. Almost 30 percent of candidates in the University of Tennessee, Knoxville’s leader preparation program are racially and ethnically diverse, which is significantly higher than the state. 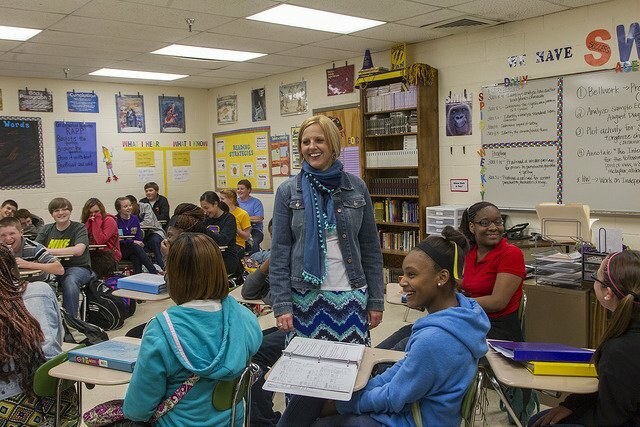 Teach for America-Nashville recently launched the Nashville Assistant Principals Fellowship to help experienced educators gain their administrator credentials through Lipscomb University and one of the focus areas is to increase the diversity of the Assistant Principals pool within Metro Nashville Public Schools. • Share data about educator diversity: Currently, there is very little publicly available information about the percentage of principals or teachers of color, either statewide or by district. In August 2018, the Tennessee Department of Education is planning to release district-level data about the number of teachers and administrators of color. These data will help districts identify gaps in their recruitment and retention strategies as well as send an important signal that educator diversity should be a priority statewide. Another source of data on racial and ethnic diversity is Tennessee’s Teacher Preparation Report Card, which rates the performance of teacher preparation programs. In February 2019, the Report Card will include basic data about principal preparation programs and the state should consider including information about the percentage of principal candidates of color in each program. • Identify and support more teacher-leaders of color: One of the primary ways that potential school leaders are identified is through teacher-leader pathways such as formal leadership roles or teacher fellowships. Tennessee is home to a number of teacher leadership opportunities and explicit goals around recruiting a racially and ethnically diverse group of teacher-leaders for these opportunities should be a priority. In addition to recruitment, teacher-leader initiatives and fellowships should also consider additional supports for teacher-leaders of color, including one-on-one mentoring, especially from more experienced teachers of color, as well as affinity groups based on race or ethnicity. While Tennessee should continue prioritizing the need for a diverse teaching force, this must be coupled with a discussion about principal diversity as well. Principals of color play an important role in not only hiring and supporting teachers of color but also helping increase student achievement. Over the coming months, SCORE will share more about what we are learning about principal diversity in Tennessee and how districts can also support more diverse leaders.